Current: Introducing the Growing Young Assessment.Introducing the Growing Young Assessment. Introducing the Growing Young Assessment. My whole adulthood, I’ve loved online surveys that tell me more about myself and others I care about. From short quizzes about which animal most closely matches the personality of my family, to more formal inventories that evaluate our team’s work culture, I know I’m not alone in my curiosity. Deep within us there is a desire to understand ourselves and those we care about. Because as we understand ourselves and our world better, we can take steps to make changes that reflect our values. That’s why our team is unveiling a new resource for you and your church. We want you to understand yourself as a leader, and your church’s current work with young people. In the midst of your hopes to help your church Grow Young, we want to give you a road map to get there. A roadmap grounded in research. A year ago, we released our Growing Young book to showcase the amazing research-based strategies that are helping young people discover and love top churches nationwide. To our delight, response has been mind-blowingly positive. From Amazon rankings and reviews to conference hallway conversations with leaders nationwide, we have been overwhelmed by how our Growing Young core insights are helping churches move forward in their ministry with teenagers and young adults. The challenge is that our research revealed six different core commitments that are key to Growing Young. I can’t change six things at once in my own life. No way can my church—or your church—work on six different strategies at once. So what if you could take a quiz that would give you a snapshot of your congregation and how you are doing in each of these six strategies? Instead of being overwhelmed and uncertain about how to move forward, you could prioritize and take action immediately. Reflect with your team on where you are and what got you there. Ask deep questions about your values and goals as a church. Expand your vision beyond trends and tricks. Make the best use of your limited time and resources. Craft a focused plan to reach young people like never before. 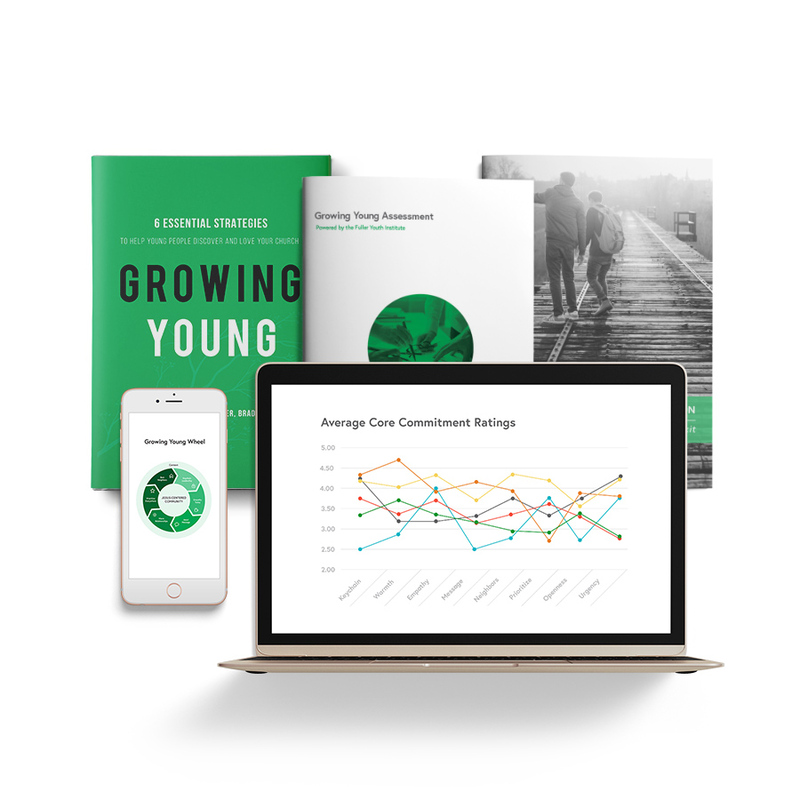 Created by our research team in partnership with some of my amazing faculty friends from Fuller Theological Seminary, the Growing Young Assessment is an academically-validated survey tool that you can make work for you based on your unique context. You can take it yourself as a leader. You can expand its impact by asking your entire leadership team to complete it. Or better yet, you can invite your entire congregation to complete the survey. When your whole congregation completes the assessment, you will be able to slice and dice the data to figure out what each generation loves about your church, as well as what they think could make your church even better. No longer will you have to guess how to move forward to be effective with young people. The Growing Young Assessment gives you the roadmap and the fuel you need to reach your goals and experience even more effective ministry in the year ahead.